Description: Drawing an fault tree diagram requires special symbols and professional knowledge. Well, starting from a suitable template will make things much easier. This page provides a simple and style mine shaft fault tree template, available in vector format. Simply download and use it to represent your own fault tree diagrams. Share your awesome creations through this diagram sharing community and get ideas from other works. 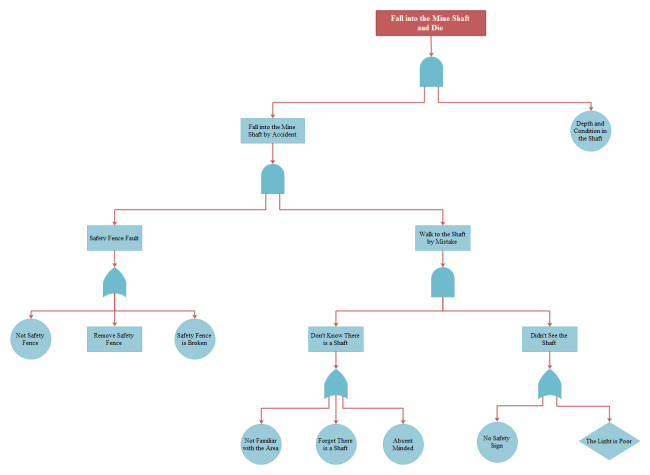 All fault tree templates are prepared with editable format, downloadable and customizable. Find the one that best suits your needs.